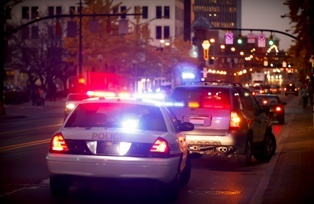 Reckless driving charges can have long-term consequences on your life. A conviction is a Class 1 misdemeanor and will result in you having a permanent criminal record. However, there are a number of defenses that you may be able to raise—with the help of an experienced reckless driving attorney—that may result in the charges being dismissed or reduced to a lesser offense with much less severe penalties. Under Virginia Code § 46.2-862, you may be charged with reckless driving for driving over the speed limit by 20 miles per hour or more or in excess of 80 miles per hour. Under Virginia Code § 46.2-852, it is illegal to drive recklessly or in a way that endangers the life or property of any person. This is a broad catch-all offense that gives the police broad leeway to charge you with reckless driving. If convicted of reckless driving, you face a sentence of up to 12 months in jail, a fine of $2,500, and six demerit points on your driving record. Location. The Commonwealth must prove that the reckless driving offense took place in the correct county or city where you were charged. If you were near the border between jurisdictions when you were charged, the officer who charged you may not have had authority to do so, in which case the charges may be dismissed. Highway. This is another situation-specific defense. A highway is defined broadly in Virginia to include highways and many public roads. However, if your offense occurred in a gated community or another private roadway, you may not be able to be charged with this offense. Radar or Lidar Calibration. If you are charged with reckless driving, the Commonwealth must establish that the radar or LIDAR used to check your speed was properly calibrated and working properly on the date you were charged. The device must have been calibrated within the prior six months, and the officer must have a valid certification that meets specific statutory requirements. The lack of a calibration certificate or a defective one are common defenses raised by experienced reckless driving attorneys that may result in the charges being lessened, or in some circumstances, dismissed. Equipment use. Another defense related to the radar or LIDAR speed findings is that the police did not use the equipment properly. Use of these devices requires special training and experience. An experienced lawyer may be able to challenge how the officer used the device in order to get the reckless driving charge dismissed. Your speedometer. In some cases, getting your speedometer calibrated can prove that the speedometer was not working properly and that you were unaware of the speed at which you were traveling. If you plan to claim that you were not speeding, you may have to have your speedometer calibrated. However, in many cases, the calibration shows no inaccuracies, so you want to discuss whether you should spend the money for this with your attorney before having it done. GPS defense. A common defense can be that a person’s GPS showed that he was going at a lower speed than the officer claims. This can be a powerful defense. However, for it to be successful, you will need to show proof of the GPS reading at the time you were charged with this offense and proof that the GPS was accurate. These are just a few of the defenses that you may be able to raise to beat reckless driving charges. An experienced reckless driving attorney will be able to spot all of the helpful defenses in your case, as well as suggest other actions that you can take to minimize the penalties you face. Call our office today to schedule a free case evaluation with a member of our reckless driving legal team to learn more about your defenses and our extensive experience in these cases.